This book examines the Russian/Soviet intellectual tradition of Oriental and Islamic studies, which comprised a rich body of knowledge especially on Central Asia and the Caucasus. The Soviet Oriental tradition was deeply linked to politics – probably even more than other European ‘Orientalisms’. 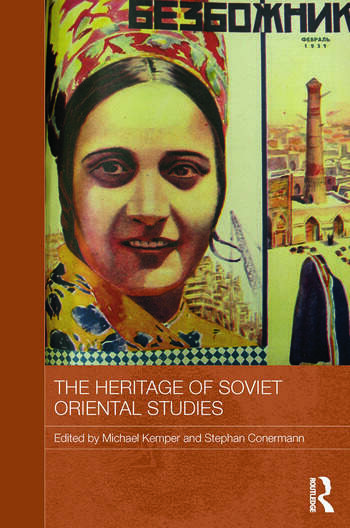 It breaks new ground by providing Western and post-Soviet insider views especially on the features that set Soviet Oriental studies apart from what we know about its Western counterparts: for example, the involvement of scholars in state-supported anti-Islamic agitation; the early and strong integration of ‘Orientals’ into the scientific institutions; the spread of Oriental scholarship over the ‘Oriental’ republics of the USSR and its role in the Marxist reinterpretation of the histories of these areas. The authors demonstrate the declared emancipating agenda of Soviet scholarship, with its rhetoric of anti-colonialism and anti-imperialism, made Oriental studies a formidable tool for Soviet foreign policy towards the Muslim World; and just like in the West, the Iranian Revolution and the mujahidin resistance to the Soviet occupation of Afghanistan necessitated a thorough redefinition of Soviet Islamic studies in the early 1980s. Overall, the book provides a comprehensive analysis of Soviet Oriental studies, exploring different aspects of writing on Islam and Muslim history, societies, and literatures. It also shows how the legacy of Soviet Oriental studies is still alive, especially in terms of interpretative frameworks and methodology; after 1991, Soviet views on Islam have contributed significantly to nation-building in the various post-Soviet and Russian ‘Muslim’ republics. Michael Kemper is Professor of Eastern European Studies at the University of Amsterdam, the Netherlands. Stephan Conermann is Professor of Islamic Studies, and acting director of the Asia Center at the University of Bonn, Germany.